In the eternal cycle of consumerist ebb and flow (meaning everywhere something is manufactured, used, and then disposed of, or, to put it differently, produced, consumed and thrown away) things sooner or later end up as trash. Hardly have you bought something and carried it home, than you have to dispose of the packaging. Once cans, jars, plastic wraps or paper bags have been relieved of their contents, be it lentils, olives, lettuce or tomatoes, then you have to find someone to put them or into the garbage can they go. Admittedly it’s a bit tougher if it’s the fridge that has decided to give up the ghost. Or if the suspended ceiling in the living room, complete with chemicals residues, needs to be replaced. Not to forget that every weekday sees one, two or three newspapers in the postbox. What to do with them once read (or not)? Into the garbage! While only a moment ago, as if in the clutches of a fever, you might have thought you simply could not live without this or that item, hardly have you got it than it’s in the trash. And this is more than ever the case today – and the cycle is faster than ever. Even if in the past everything sooner or later ended up in the trash. 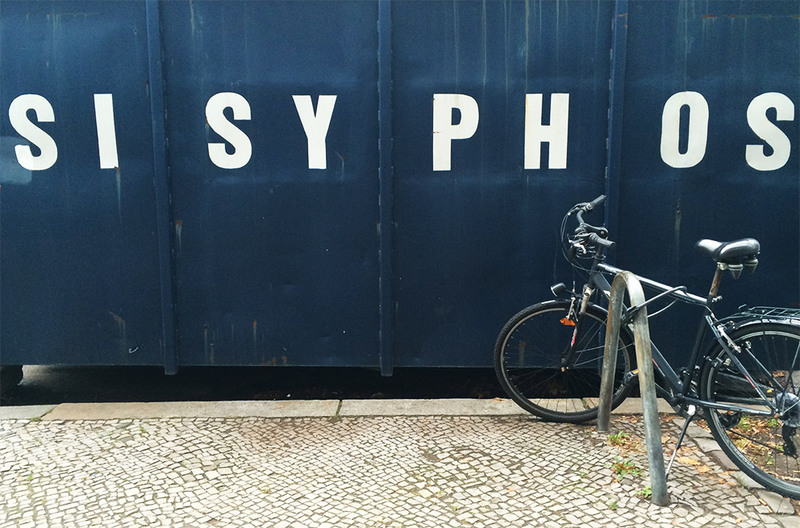 And once things have reached that stage, then along comes Sisyphus – at least in Berlin. Assuming one has ordered him.